No one needs to run this many operating systems at once. Parallels 7, arguably the best desktop virtualization tool for Mac, has been updated to take advantage of the new MacBook Pro’s high-resolution Retina display. Its cousin, Parallels Mobile for iOS, has also received the same treatment, and now supports the Retina display in the new iPad. Today, we are proud to announce that both Parallels Desktop 7 for Mac and Parallels Mobile have been updated to support Apple’s Retina display and its over 5 million pixels on the newly released MacBooks and latest iPad,” Parallels announced on its blog. 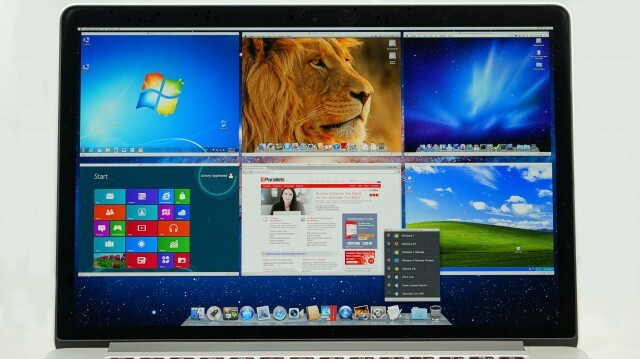 The company also published an image of its application running six different operating systems on one MacBook Pro display at 2880 x 1800 resolution, which you can see above. The latest Parallels Mobile update hasn’t quite hit the App Store yet, so it may still be awaiting approval from Apple. You should see it pretty soon, however.